Since the dramatic rise in Indo-Pak tensions earlier this month, the entire South Asian region has once again been propelled on to the international forefront amidst fears of all-out nuclear war. Even though these tensions have receded significantly over the last couple of weeks, they had earlier reached near an unprecedented tipping point with both countries prepped to launch a series of ballistic missiles at each other following one of the modern age’s first aerial dogfights. As the specter for further military engagements is replaced by concerted efforts at diplomacy, the ongoing situation offers a unique look at the varying roles being played by one of the region’s primary stakeholders, namely China. This is evident from recent reports that have revealed the important role that was played by diplomats from China, Saudi Arabia and the US in bringing both India and Pakistan back from the brink of all-out war. China’s role however demands closer inspection especially considering how it is widely expected to take on a more prominent leadership role based in part on the US withdrawal from global affairs, as well as in part on its own rise as a major power. Despite China’s clear and long-standing history of close cooperation with Pakistan, China has repeatedly avowed playing a more neutral role amidst the rising tensions between both India and Pakistan. In official statements given by Foreign Minister Wang YI, as well as Foreign Office Spokesman Lu Kang both during and after the recent crisis, China repeatedly called for restraint and dialogue presenting itself as a willing and able mediator. It showed itself as willing to play a more stabilizing role in the region through a more normative approach to conflict resolution. This stands in contrast to a perhaps more unilateral approach steeped in (super) power politics that would otherwise aim to redraw the region’s strategic fault lines. Even with regard to the divisive issue of Kashmir, the Chinese Ministry of Foreign Affairs has espoused a more conciliatory approach emphasizing the need for economic development and poverty alleviation as issues that should be addressed collectively. This is especially evident in the case of the China Pakistan Economic Corridor (CPEC) and its overarching Belt and Road Initiative (BRI) where Beijing has repeatedly emphasized the inclusivity of this initiative. Citing how the BRI can serve as a platform for enhancing Indo-Pak Cooperation, China’s offered solution has been directed towards meeting the infrastructure requirements of both countries at a broader regional level. However, China’s so called neutrality has been vociferously brought into question by India especially as a result of China’s most recent diplomatic maneuvers at the UN. 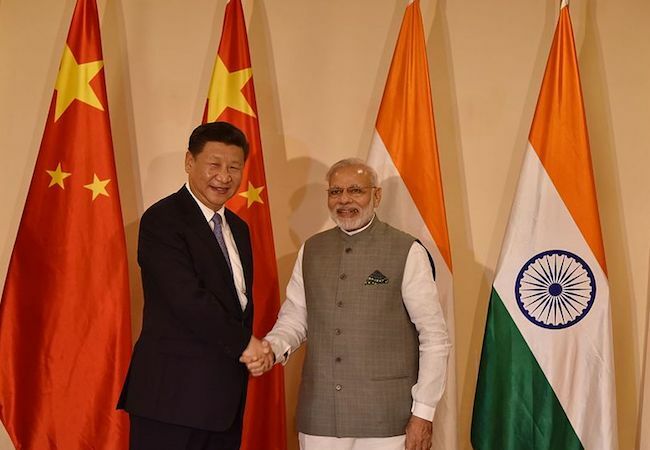 This is because China has for the third time blocked a UNSC resolution aimed at blacklisting JeM leader Masood Azhar under the 1267 sanctions committee. Accused by India as being the mastermind behind the Pulwama attacks, India along with France, the UK and the US have repeatedly pushed for blacklisting Azhar subjecting him to a travel ban, arms embargo and asset freeze. In contrast, China’s position on the issue has been to implement a technical hold on the decision calling for a more responsible solution to the issue based on greater dialogue and consultations. This has been widely perceived in India as not only favoring Pakistan at India’s expense, but also as an implicit justification of Pakistan’s support of cross-border terrorism within Indian occupied Kashmir. Despite China’s claims to the contrary, these actions have led China to face growing diplomatic pressure as it finds itself increasingly unable to justify its position; especially in light of its own internal concerns with regard to terrorism such as in the Xinjiang Autonomous Region. Furthermore, Chinese policy towards India is still built on close trade ties, with China still being India’s second largest trade partner. Recent calls within India to ban Chinese goods bears witness to this fact which China is well cognizant of. Hence, with regard to China’s self-avowed desire to remain neutral amidst the Indo-Pak rivalry, the onus does perhaps lie on China to reduce its inclinations towards Pakistan to some degree in favor India. However, considering India’s own ambiguity and uncertainty with regard to its role as an emerging power, India has itself offered little room or incentive by way of addressing the rise of China. India’s obsession and deep seeded insecurity with respect to Pakistan has instead greatly limited its ability to form a clear and forward-looking policy for the wider region. As evident in the recent rise in tensions following Pulwama, the Indian approach can only be characterized as being more reactive than proactive in nature, lacking any hint of direction or vision it might have for the South Asian region.Therefore, the fact remains that even though China has been looking to adopt a more neutral position between India and Pakistan, India’s own uncertainty, lack of political will, and its incessant obsession with Pakistan has done little with regard to its attempt of serving as an emerging power within the region. Hence, while China may be unwilling to alter the regional status-quo based on its actions and policy towards South Asia, it is the uncertainty and lack of a clear direction from India that has allowed bilateral ties between Pakistan and China to have a profound regional impact even beyond South Asia.